The Japan hotel industry is one of the fastest-growing segments in the world today. Tokyo will receive an additional 30,000 guest rooms by the end of 2020. Even with that surge in available accommodations, an expected shortage of 3,500 rooms persists. With cities like Kyoto, only 41% of travelers stay overnight because there is a lack of accommodation. That means a city like Osaka picks up the slack, where 90% of travelers stayed overnight in 2014. 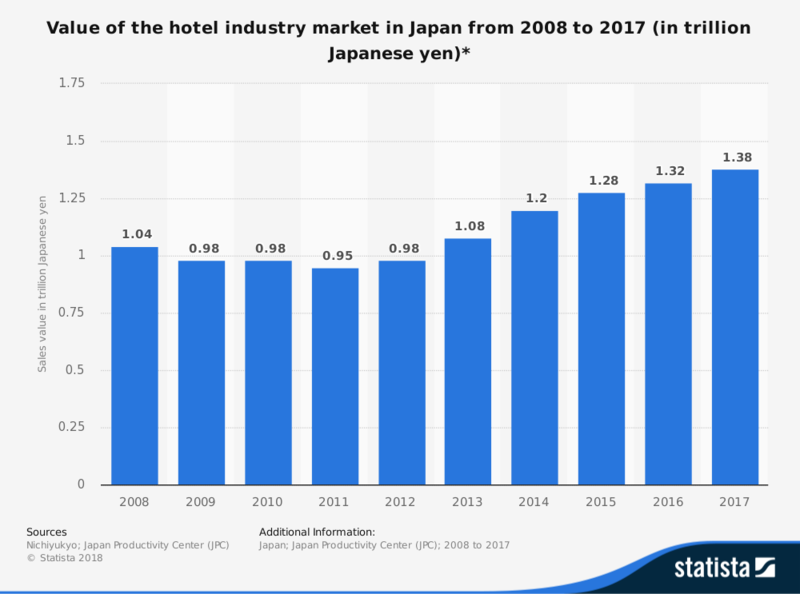 Total revenues earned by the Japan hotel industry top $5.5 billion per year, with the annual growth rate averaging more than 5%. User penetration with the industry is 18%, with the total average revenue per user topping $245. That ranks the industry as the fourth-largest of its type in the world. 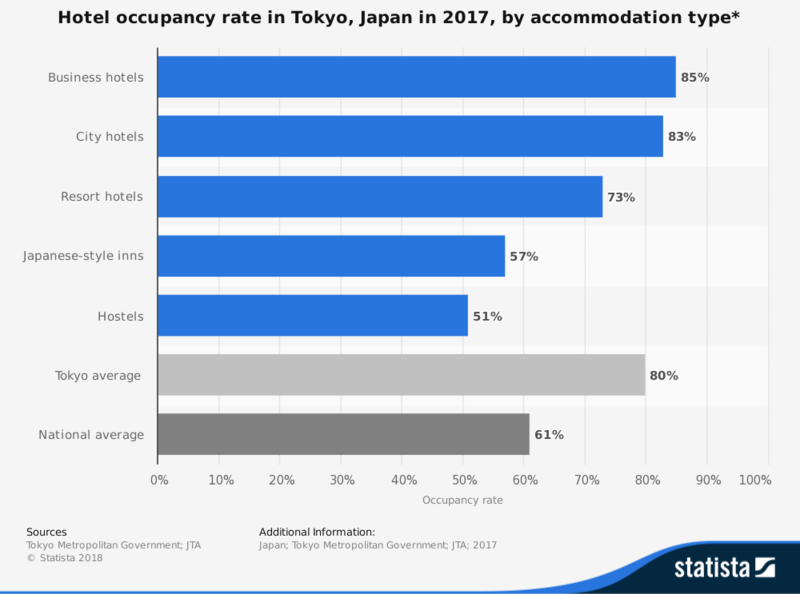 The total number of hotel rooms available in the eight major cities of Japan is expected to reach 330,000 at the end of 2020. If that figure is reached, total availability will rise 32% over 2016’s hotel numbers. This surge in interest comes as Japan gets ready to host the 2020 Olympic Games. 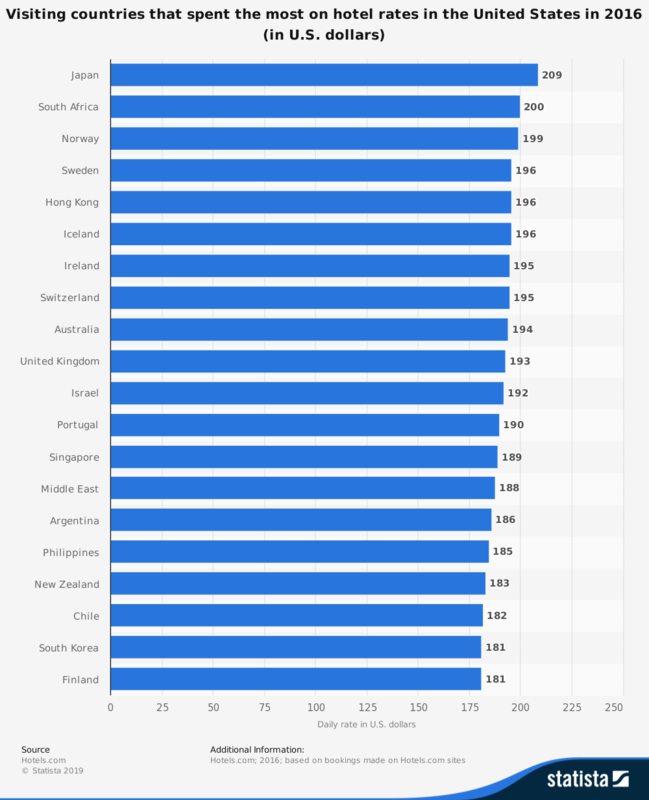 Could these growth trends be rising solely because of the international competition? What might happen to the industry after the games conclude in 2020? By the end of 2020, the hotel stock in Japan expects an increase of nearly 30%. Construction on about 80,000 guest rooms in the eight major cities of the country should be completed by then. Combined with the strong ongoing performance of the industry, the number of inbound tourists competing for these rooms could top 40 million for the first time within the next five years. If the current growth trends persist through 2030, then up to 60 million people per year could visit the island nation. The only circumstance holding back the Japan hotel industry right now is the overall availability of rooms. With ongoing high capacity rates throughout the country, rising average daily revenues across the board, and a robust performance in overnight stays, expect new styles and rooms to differentiate the supply and add even more opportunities for the industry. There is little risk of oversupply within the industry. Competition should intensify with resort hotels and limited-service arrangements as travelers seek out specific experiences during their stay. About half of the new hotels will accommodate business travelers only. Even with vacation rentals, Airbnb-like services, and the growth of low-cost hostels, expect this industry to continue being a global leader in its field.